After the hard work yesterday, I was back at No. 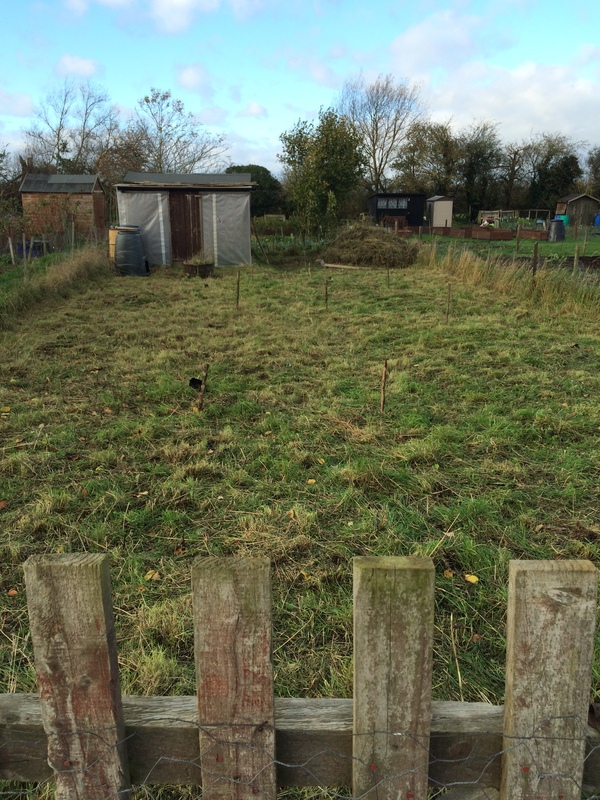 27 by 9am this morning determined to get the whole plot raked and ready for digging in 1hr 30mins. Time was limited due to having many other jobs and outings to do today. I was amazed at how quiet and peaceful it was up there; only saw two other people who both waved from a far probably wondering who the newbie is, certainly made me feel welcome. I cracked on and all of sudden I was working up a sweat, my shoulders were aching and it was 10am, time goes too fast when you are having fun. 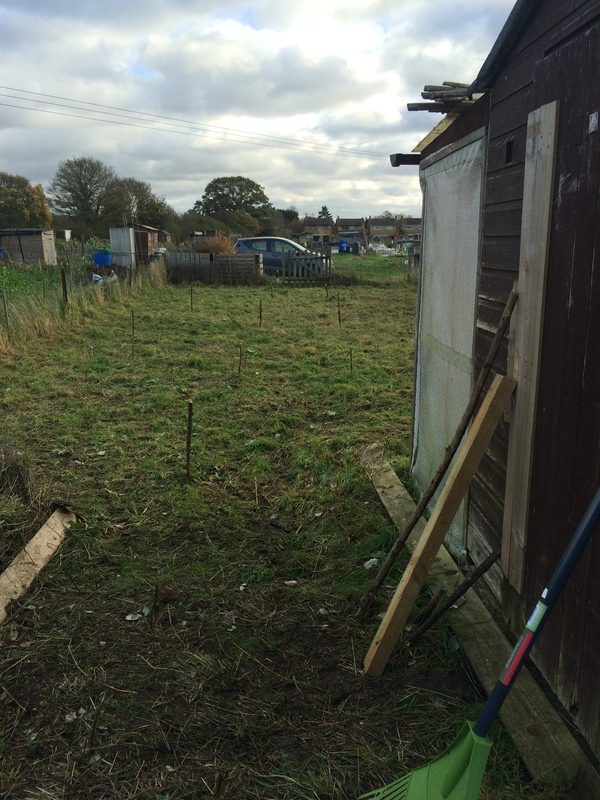 30 mins left, so I picked up the pace, finished the raking and trimmed the grass around the shed and some of the fencing. I was satisfied with what I had achieved so gave myself permission to pack up and head home. Definitely need to buy a camping gas stove to keep in shed so I can take a break and have a hot cuppa. Maybe it can go on my xmas list..
Next Sunday, I will be back to start digging a small area, fit the locks and new roof fabric on the shed, then hopefully get a few onion or garlic sets planted. Have a great week and thank you for visiting.